Scarsdale became the subject of national controversy in the 1950s when a "Committee of Ten" led by Otto Dohrenwend alleged "Communist infiltration" in the public schools. A thorough investigation by the town rejected these claims. This same group, known as the Scarsdale Citizens Committee, sued to prevent a benefit for the Freedom Riders from taking place at the public high school in 1963 because some of the performers (Ossie Davis, Ruby Dee, Pete Seeger) were allegedly "communist sympathizers and subversives." ^ "Profile of General Population and Housing Characteristics: 2010 Demographic Profile Data (DP-1): Scarsdale town, Westchester County, New York". U.S. Census Bureau, American Factfinder. Retrieved November 15, 2011. 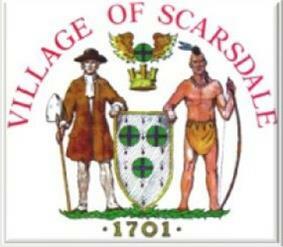 ^ "History of Scarsdale". scarsdale.com. Retrieved 25 February 2015. ^ "Richard Lederer, 76, Scarsdale's Historian". nytimes.com. 3 February 1993. Retrieved 25 February 2015. ^ Peel, M. C.; Finlayson, B. L.; McMahon, T. A. "World Map of Köppen-Geiger climate classification". ^ "Historical Weather for Scarsdale, New York, United States of America - Travel, Vacation and Reference Information". ^ "Scarsdale Westchester County New York average temperature, sunshine and precipitation data". Homefacts.com. Retrieved 2011-10-24. ^ "Monthly Averages for Scarsdale, NY (10583)". ^ Handelman, David. "The Japanning of Scarsdale: East Meets Westchester." New York Magazine (ISSN 0028-7369). New York Media, LLC, April 29, 1991. Vol. 24, No. 17. 40-45. - CITED: p. 41. ^ Powell, Mike. "Scarsdale, N.Y., Real Estate Buying Guide". 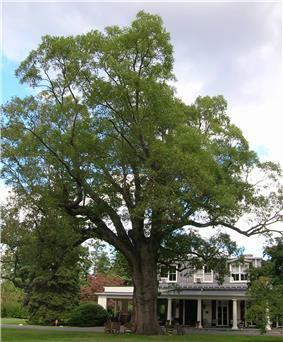 http://www.nytimes.com/ref/realestate/nabe-scarsdale.html. ^ "Muslim Scholar, Looking to ‘Speak the Truth,’ Teaches the Holocaust and Islam". ^ "Scarsdale Library » About Us". scarsdalelibrary.org. Retrieved 25 February 2015. ^ "Fire Department". scarsdale.com. Retrieved 25 February 2015. ^ "Library of Congress: Chronicling America: The Scarsdale Inquirer". Chroniclingamerica.loc.gov. Retrieved 2012-07-18. ^ "The Summer of George". Seinfeld Scripts. 1997-05-15. Retrieved 2012-07-18. ^ The Spy: A Tale of the Neutral Ground - James Fenimore Cooper, James H. Pickering - Google Books. Books.google.com. Retrieved 2012-07-18. ^ "Steve's Broom Of The System Index". Russillosm.com. Retrieved 2012-07-18. All Good Things is a 2010 mystery/crime romantic drama film by Andrew Jarecki that tracks New York millionaire and Scarsdale native, Robert Durst. His wife, Kathy Durst, went missing in the fall of 1971. It is expected that Durst will be brought to justice for his wife's death after thirty years. His trial will begin in 2016. The French-American School of New York (FASNY) has its preschool campus in Scarsdale. In the neighboring town of Greenburgh, which shares the Scarsdale ZIP code, is the Edgemont Union Free School District. This district consists of two elementary schools, Greenville and Seely Place, and one 7-12 high school, Edgemont Junior/Senior High School. The district does not have its own middle school, instead the middle school grades 7-8 are combined with the high school grades of 9-12. As of 2000 Scarsdale was a favorite location for Japanese expatriates working in the US. According to Lisa W. Foderaro of The New York Times it was well known in Japan as a place with good housing stock and schools. By 1991, many Japanese businesspersons with work assignments in New York City chose to move en masse to Scarsdale. The large settlement of Japanese caused friction among the American population, particularly students at Scarsdale High School. The Japanese residents were unable to take part in much of the town political sphere partly because they were not citizens and partly due to lack of familiarity with American politics. Many Japanese businesses appeared to cater to the community. According to the United States Census Bureau, the village has a total area of 6.6 square miles (17 km2), of which 0.15% is water. It is located approximately 25 miles from midtown Manhattan, which may be reached by Metro-North Railroad express train in approximately 30 minutes. The town is in a humid continental climate zone (Köppen climate classification: Dfa), with cold, snowy winters and hot, humid summers and four distinct seasons.